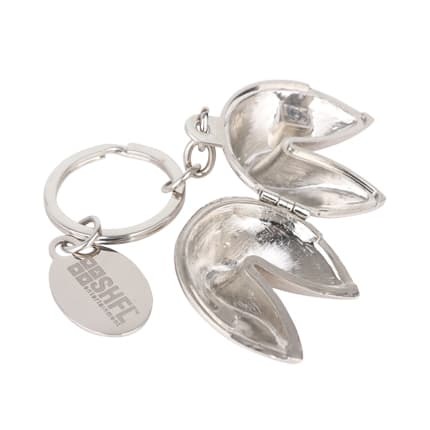 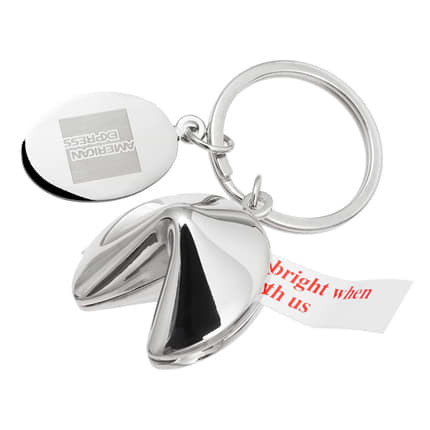 The fortune cooky shaped metal keyring is made from premium quality zinc alloy, and is coated to create a great Metallic gloss. 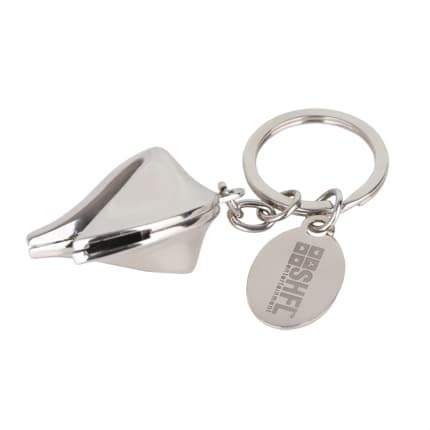 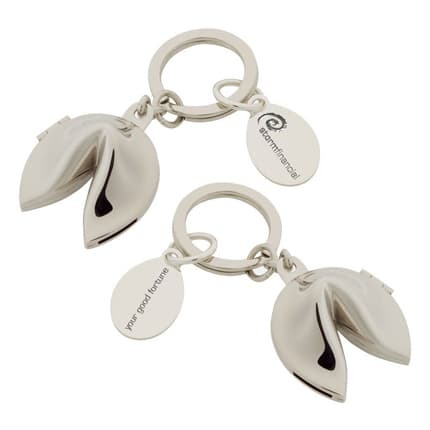 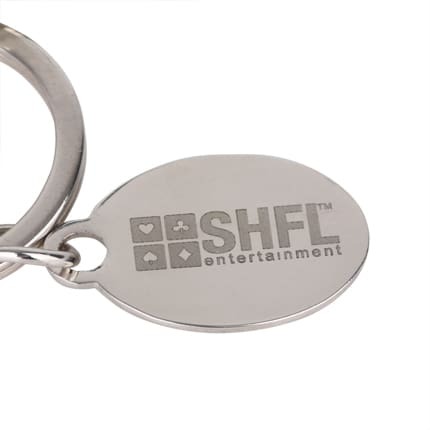 The keyring can be opened for you to insert a note with greetings. 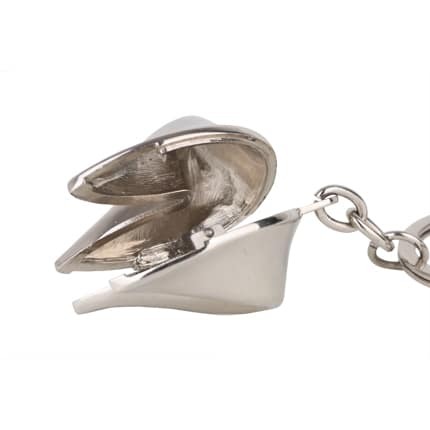 To send someone you love a little good luck, a prediction for success or a simple wish.